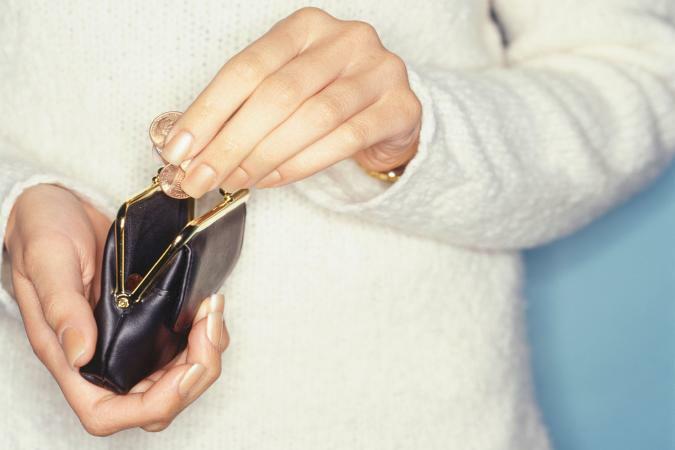 Believe it or not, for most people, their financial success in terms of paying their bills, accumulating wealth and staying out of debt has very little to do with how much money they earn. Sure, your salary is an important factor in your financial success, but it is only one of several key factors, and it is far from the most important one. Author mattPosted on November 4, 2016 November 7, 2016 Categories FinanceLeave a comment on Financial Health – It’s About Your Attitude! First-time buyers should also be wary of financing deals that sound too good to be true. Weigh your options and get the best deal. Buying a car is a tough financial commitment. It might take some help to get all the money for it, but that’s exactly why car loans exist. Getting a car loan is a relatively painless process, but there are quite a few steps involved that can make it a bit confusing to a first-time buyer. We’ve got you covered if you’re looking for more information about getting a car loan, and what it all means to get saddled up with auto financing. If you don’t have the $20,000 or more to purchase a new car, you’re going to have to borrow it from someone. When it comes to borrowing money for any circumstance, there’s going to be a few terms about re-paying the loan. A car payment is separated into the principal amount and interest. Principal is the term used to refer to the actual amount of money being borrowed. While some financing deals offer 0 percent financing, other financing terms require you to pay interest owed on the loan amount. Agreeing on a car loan also involves a length of time, normally in months of how you’ll pay the borrowed money back. Car loan terms can be anything from 12 months to 72 months or even more in some cases. Knowing your budget and long-term financial situation should help you decide whether you can take a shorter term with higher payments, or a longer term with lower payments. WHAT KIND OF CAR LOANS ARE THERE? You can actually shop for a loan, and it’s a good idea to look for a loan before you look for a car. Start by seeing your bank’s interest rates and loan costs. Your bank will usually offer you a good rate since you’re already a customer and they know your financial history. A credit union is another place you can shop for a loan, which can be cheaper than the bank, but you may need to be a member. Homeowners may also take a home equity loan and pay for their car with cash, helping to reduce the pressure of interest on the car payments. Finally most auto manufacturers provide their own in-house financing companies at new car dealerships. These companies compete with the banks and credit unions. Remember though, the goal of these companies is to get you into their brand’s cars, so they will likely offer the easiest and best car loan rates. When it comes to buying a used car, however, the dealership may have another financial institution to provide you with a loan, and often at a rate that benefits the dealer and not you. Getting a good rate on your auto loan depends on your credit history. If you’ve missed payments in the past, or have a bankruptcy history, then you might not get a loan at competitive rates. Be sure to check your credit history before even shopping for a car loan, so you can correct any mistakes and get the best interest rate on your loan. Sometimes your salary isn’t paying quite enough to cover all your needs. But you know what, there is no problem that cannot be resolved. You simply need to put a few things into perspective and you will have an easy time putting your money into good use. When your income is limited, having a household budget is not only a good idea; it is imperative. Living on a budget might sound restricting or like too much work. However, having a workable family budget is actually quite liberating and simple. It puts you in charge of your money, rather than allowing money to control your life. Before you can create a workable household budget you have to know where your money is going. Certified Public Accountant Mark Noel recommends tracking family spending for at least a month to six weeks before you start working on a budget. “As inconvenient as it sounds, every member of the family should get a receipt for everything, and I mean everything, they purchase,” he says. Use those receipts to get a clear picture of how and where you spend your money. Using personal finance tracking software can help you track expenditures: you might find some obvious expenses you can cut right away. “Implementing a workable budget is the single most important thing a low-income family can do to get control their money,” Noel shares. Getting input from each member of the family will help keep you from leaving out budget items. “Because every member of your family will be affected by your family budget, creating that budget should be a family affair. Having extra sets of eyes on your budget always helps,” Noel adds. If everyone has a say in creating the budget, they are more likely to buy into maintaining the budget. The key is making your household budget work is ensuring it is sufficient for your needs. For example, if you need $200 per month for food, but you only budget $125, your budget won’t work. You’ll end up taking $75 from some other budget category to spend on food which will make that category short, so you’ll take from a different category to fill that need. It becomes a vicious cycle. This is the time in the budgeting process when you might have to make some tough decisions, particularly if your income isn’t sufficient to meet all of your needs, much less your wants. Author mattPosted on March 22, 2016 April 2, 2016 Categories FinanceTags bankruptcy, coping up with bankruptcyLeave a comment on Are You Too Broke to Go Bankrupt?